Technology has the potential to make many aspects of our lives easier and more convenient. The technology that is infusing the next generation of hearing aids is no exception. The days of hearing aids only being sound amplifiers are over. Today, hearing aid manufacturers are working to develop products that are smaller, more attractive, easier to use and with a host of innovative features that will make any consumer who needs them willing and perhaps even excited to try out the newest hearing aids on the market. Hearing aids are becoming smaller. Whether they are worn inside the ear or behind the ear, they are becoming harder and harder to detect by others. Additionally, hearing aids are offered in a variety of sizes meant to complement any ear size and shape. Consumers can avoid needing to have impressions or molds of their ears created and instead choose ready-to-wear hearing aids in pre-set sizes that give them the most comfortable fit. Signia developed the Silk Nx hearing aid as one of the smallest hearing aids on the market today. Nearly undetectable, it is said to be 20 percent smaller than the smallest hearing aids available and uses a silicone sleeve to fit comfortably in the ear without needing a custom fitting. Other nearly invisible hearing aids are the Mirage IIC from Miracle Ear and the Lyric by Phonak. Rechargeable batteries for all kinds of consumer devices, including hearing aids, have been around for a long time. However, now a number of manufacturers have developed rechargeable hearing aids. The devices themselves are placed in a charging pod for approximately 30 minutes to hold a six-hour charge and for three hours to hold a 24-hour charge. 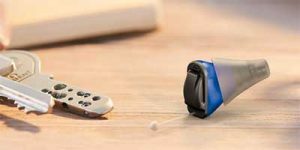 Consumers never need to worry again about running out of battery or not having the hand dexterity to change a small hearing aid battery. Older hearing aids functioned as monaural devices, meaning the hearing aid for the right ear and the hearing aid for the left ear worked independently from each other. With ear-to-ear connection, also called binaural capability, the hearing aids are connected by a wireless signal. First, if a consumer adjusts one hearing aid, the desired change also takes effect on the other hearing aid automatically. Second, instead of consumers being bombarded with different sounds coming into each ear depending on whom they are talking to, hearing aids with ear-to-ear connection create one overall sound that resembles natural hearing. The days of unattractive hearing aids making consumers feel embarrassed to wear, increasing the likelihood that those who need hearing aids won’t wear them, are in the past. Instead, today’s modern hearing aids feature more sleek and stylish designs. 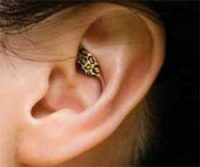 There are hearing aids that allow the attachment of a separate outer ring that can match the consumer’s mood, fashion style, or even a particular occasion. Some hearing aids are designed to look like small earphones or a pair of petite earrings. HearRings – turn hearing aids into accessories. HearRings are made with Swarovski crystals and come in multiple colors. SoundsGood hearing aids – takes the sound waves entering your ear and turns them into a dynamic graphic. This allows you to see the sound, so to speak. Two categories of apps also exist to connect consumers’ hearing aids with their smartphones or tablets. The first category is hearing aid amplifier apps. These apps perform exactly as described: they use the built-in microphone in hearing aids to amplify the outside sounds around the consumer. Some can also help to equalize sound between ears and decrease background noise while bringing certain sounds to the forefront. 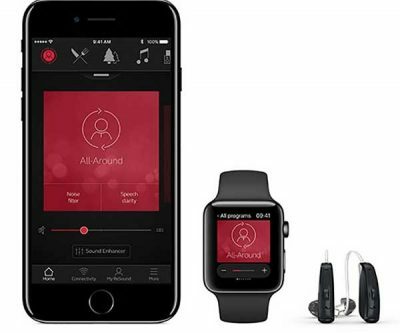 Most popular amplifier apps are free and available for iPhone or Android, including HearYouNow, BioAid, and Hearing Aid with Replay. The second category is hearing aid controller apps. These apps allow consumers to control and adjust their hearing aids directly from a smartphone app. The most popular control apps are created by a few of the major manufacturers of hearing aids and are compatible with either iPhone or Android devices. These apps include ReSound Smart and ReSound Control from ReSound, TruLink from Starkey, and RemoteControl from Phonak. Oticon won the 2018 CES Innovation Award for its HearingFitness app. It works with the Oticon OPN hearing aid line and tracks hearing aid use, listening to environments and behaviors while gathering and collecting data like your heart rate, sleep patterns and other health markers. Wireless connectivity is impacting so many facets of our society, and this includes the hearing aid market. Manufacturers are ensuring that their hearing aids allow consumers to wirelessly connect to Bluetooth-enabled devices. Consumers immediately become more connected to and aware of their environment with this groundbreaking technology. Smart devices you may have in your home such as doorbells, smoke alarms, lighting, safety equipment and appliances can all send a signal directly to your hearing aids. This technology is also great for entertainment. When consumers stream music, television programs and movies directly from their smartphones, tablets, televisions and computers to their hearing aids, it essentially turns them into a pair of earphones. Additionally, Apple has patented technology that connects certain brands of hearing aids directly with its iOS platform that powers all iPhone, iPad and iPod Touch devices. These hearing aids are specifically marketed as “Made for iPhone” products. Some of the most popular and technologically-advanced hearing aids on the market with this built-in hearable technology include the Starkey Halo, the ReSound LiNX3D, the Beltone First, the Oticon Opn, the Widex Beyond and the Phonak AudeoB. Although not technically a hearing aid, many professionals in the hearing aid technology industry point to the usefulness of wireless earbuds for those who are mildly hard of hearing. These earbuds can deliver a wide range of features to consumers, from fitness tracking to voice assistant programs to language translators. However, what makes them superior to regular headphones is that wireless earbuds, for the most part, provide a noise-canceling feature that hearing impaired persons find quite useful. In fact, the German technology company Bragi has already partnered with Starkey Hearing Technologies to develop the Bragi Dash Pro Tailored wireless earbuds, which are custom-made to fit a consumer’s ears to perfection. Other models of wireless earbuds that receive high marks are the Apple AirPods, the Samsung Gear IconX, the Nuheara IQbuds and the Jabra Elite Sport. There has never been a better time than now to be in need of hearing aids, and, in the future, the innovative features of hearing aids will only be more plentiful. Even better is that as the technological advancements become more widespread, the cost of these high-tech hearing aids will only continue to decrease. 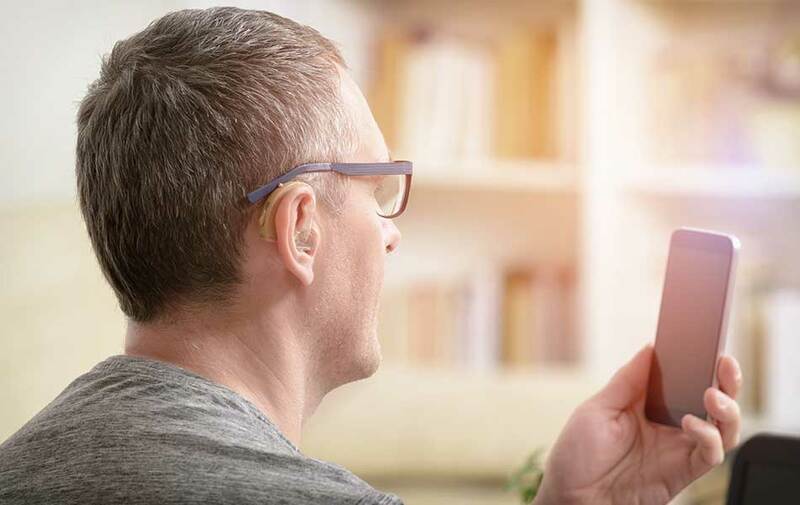 With the latest styles, discreet sizes and wireless technology that connect consumers to the world around them, hearing aids are poised to enter the next decade as not only an essential but a desired product to own for anyone who is hearing-impaired.